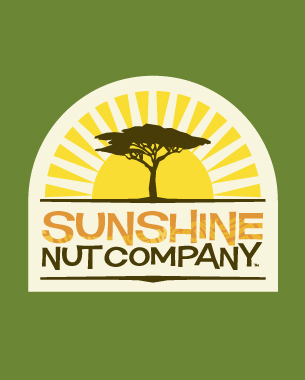 The Sunshine Nut Company is a Mozambique-based company preparing to export locally produced cashews to South Africa and the States. With a strong company philosophy of social investment back into the communities that farm the cashews, a strong brand identity was needed that reflected their hands-on, down-to-earth approach as well as appealing to retailers and consumers. The logotype uses woodcut-simplicity as inspiration for its typography and reflects its African roots using the classic Acacia tree silhouetted against the sun. The result is a brand that is as striking as it is tasty.